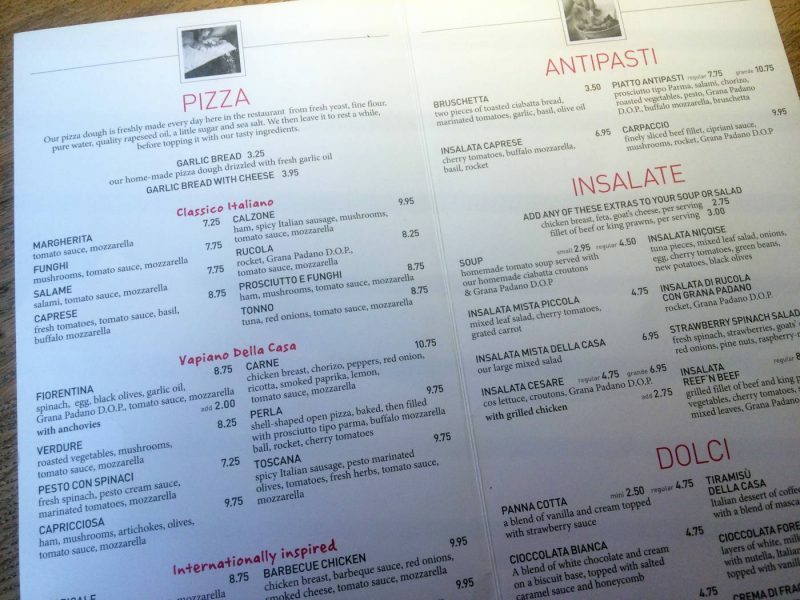 If there is one weakness I have in life – it’s Italian food. I’m not sure what it is about stodgy tubes of pasta, melted cheese pizzas or crunchy bruschetta, but it wins me over every time. 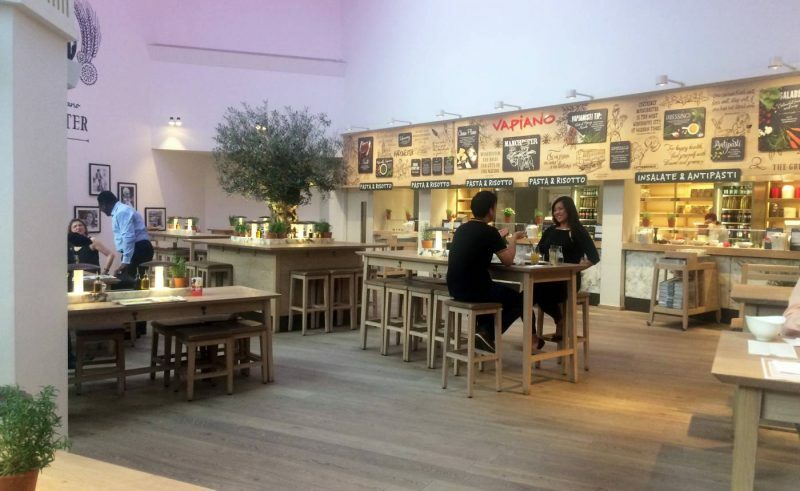 I recently noticed a lot of bloggers and foodies in Manchester heading over to one of the Corn Exchange’s Italian restaurant’s called Vapiano, and it got me thinking I’m a little behind on the newest Italian eateries popping up in Manchester. 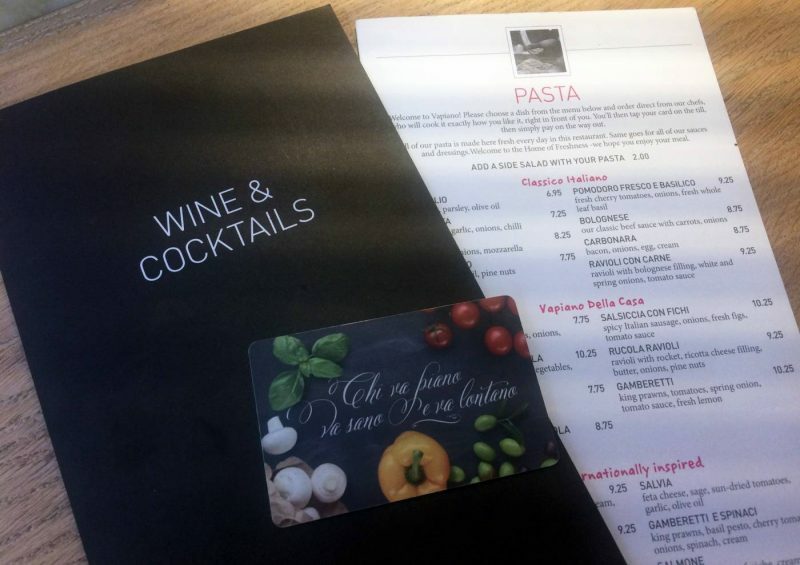 So last week, myself and three friends headed down there to check out this talked about place, and to see how I rate it as a tasty Italian! 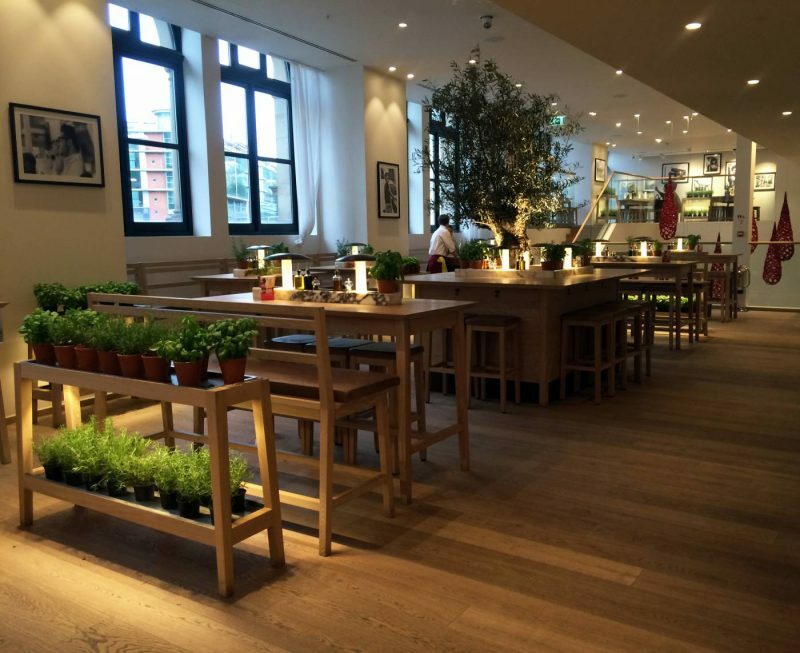 Firstly, the way it works is slightly different to the majority of restaurants I often eat at. 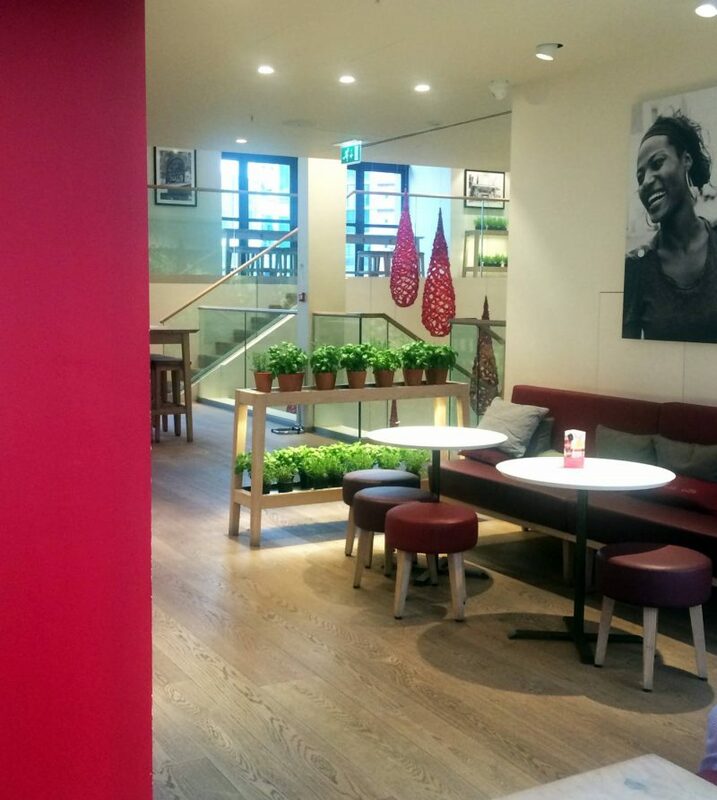 On entrance, you receive a Vapiano card each from the hostess, before being shown the seating areas both upstairs and downstairs. 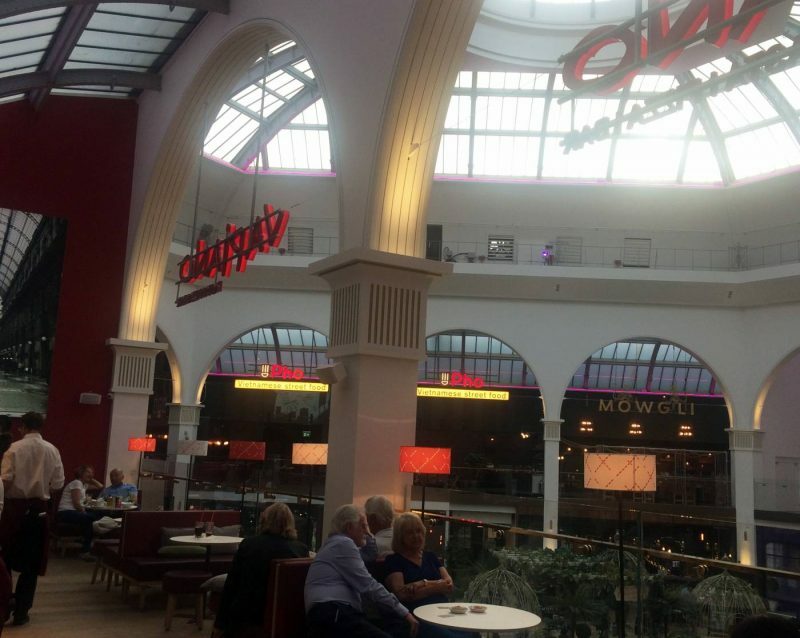 The aim is to browse the menu, decide what you want to order, and head over to the stations where chefs cook your chosen meal in front of you. How lovely is that? 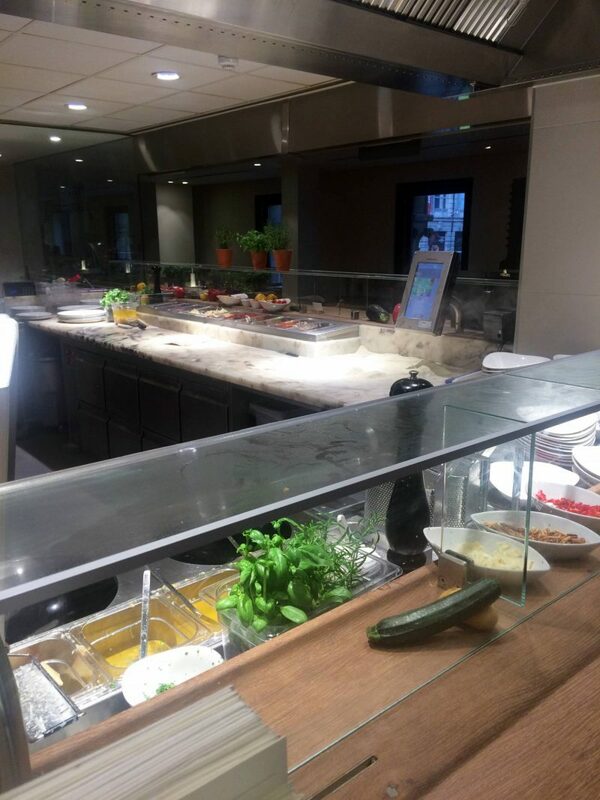 I love nothing more than knowing food is being cooked from fresh in front of me, so to see all these pasta, starters, and meat stations lined with eager chefs- well it’s just fantastic to see! 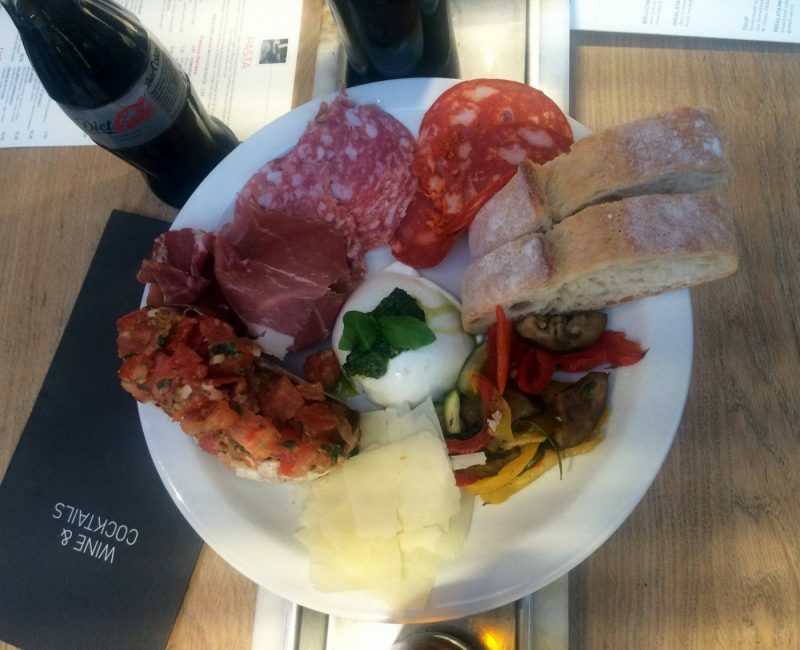 Between the four of us we split our starters to have a tomato topped bruschetta dish, and a meats, cheese and bread plate too. However, I have to rave about my main course, because it was honestly the most enjoyable bowl of pasta I have had in a long long while! 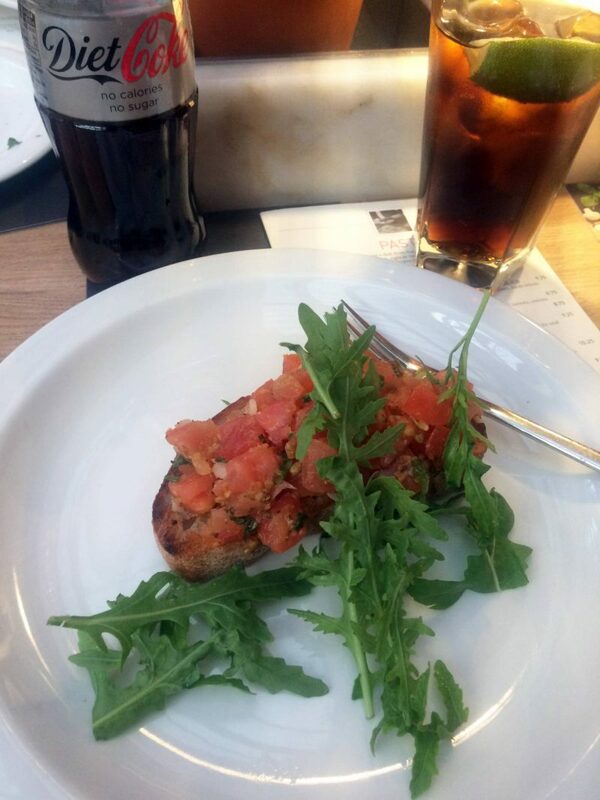 I opted for one of the specials; the pasta con tonno e pomodoro (which is tuna and tomato pasta to me and you). 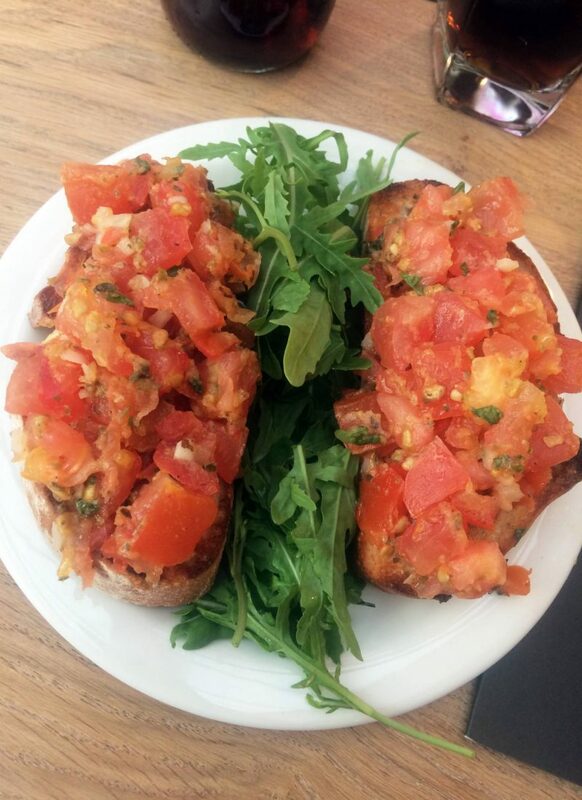 I love tuna with tomato based pasta – but then again I’m a sucker for tuna on my pizza’s too, which some people find a little weird. 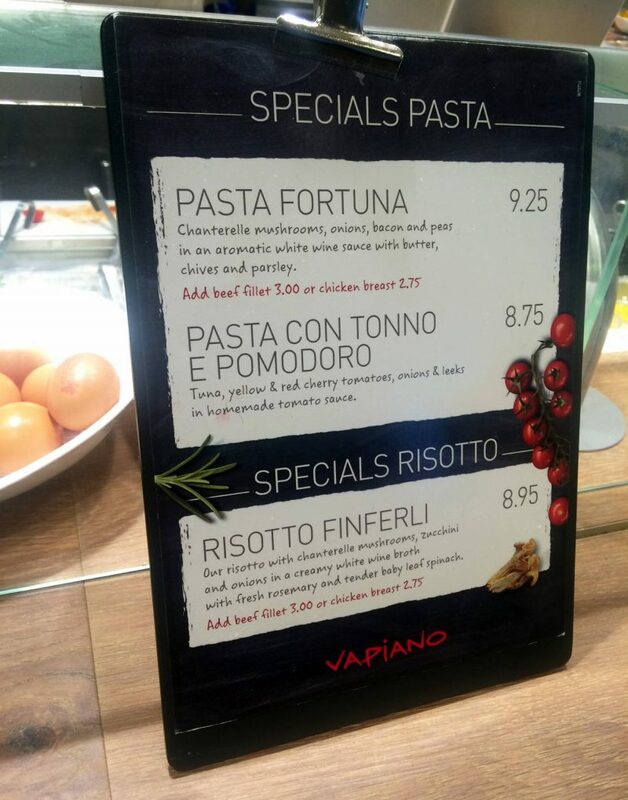 Anyway, another unique and personal touch to Vapiano is that you get to select your own pasta to go with your dish, do I chose spelt spaghetti, which is a little bit healthier than the usual white pasta. I was under the impression this brown spaghetti would taste decent, but nothing too exciting, but I can tell you I was wrong! 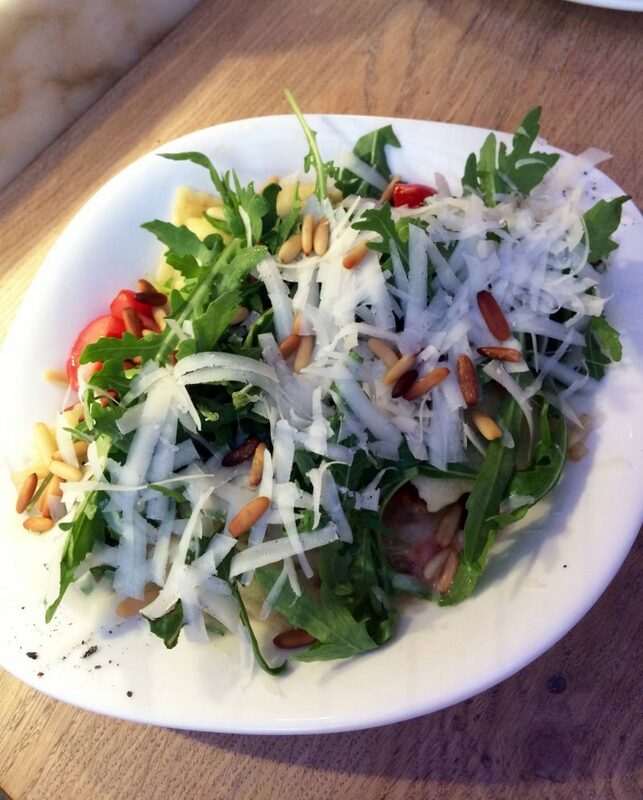 The spelt spaghetti was the most flavoursome pasta I’ve possibly ever had, with a rich nutty taste to it. 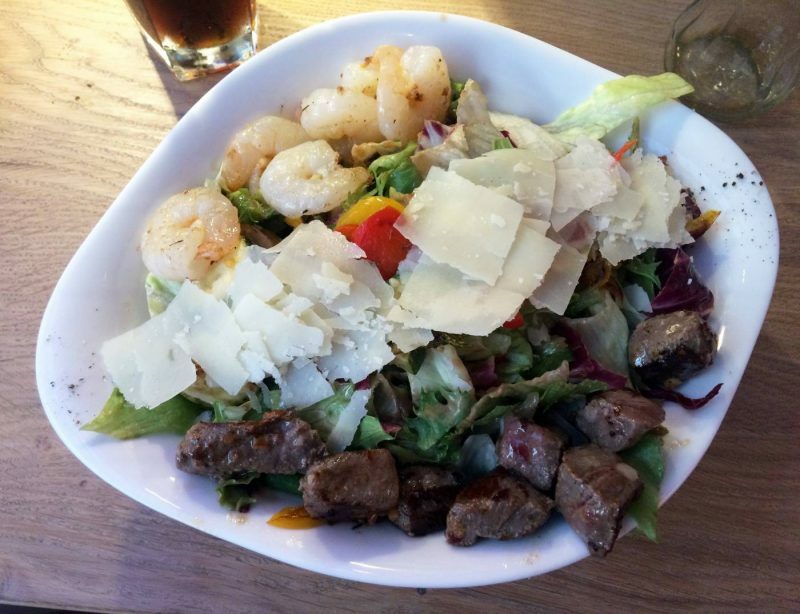 The portion size I was given was huge – which was fantastic as I was a very hungry girl upon my visit – the bowl was literally never ending. 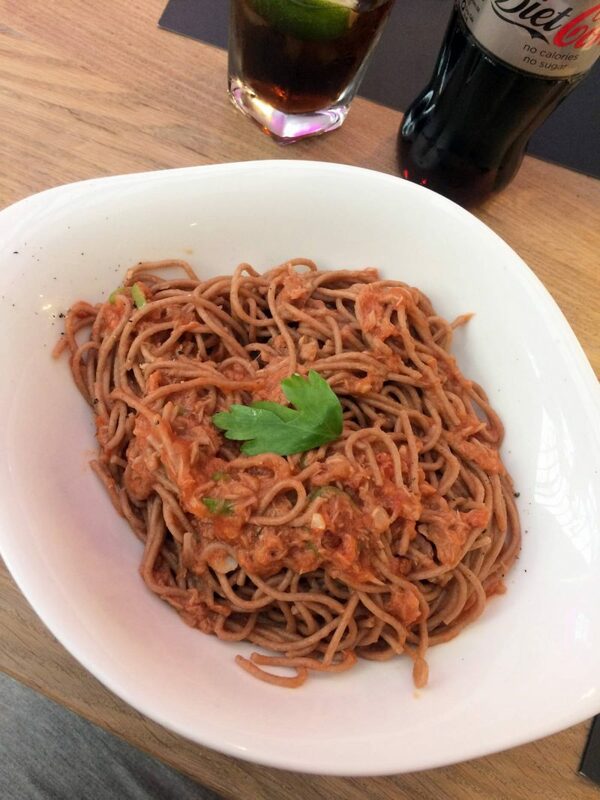 The spaghetti was laced in a rich, thick tomato sauce with onions, leeks and chunky tuna pieces, and was literally 10 out of 10 for taste. 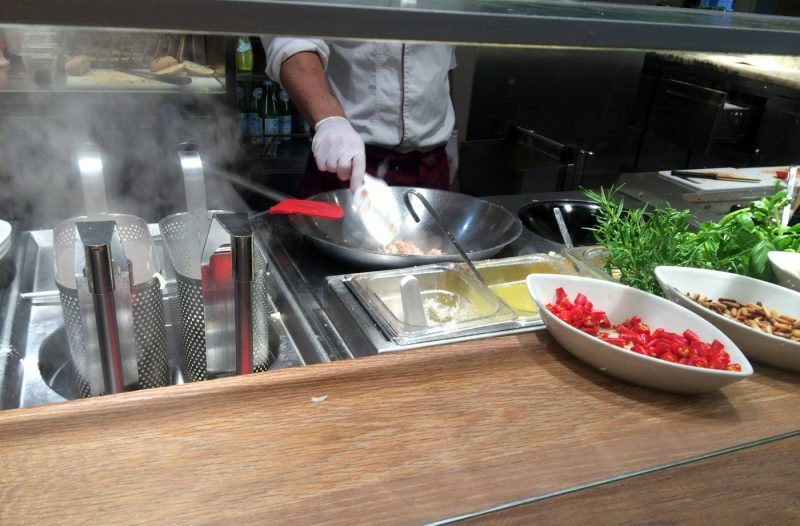 But the nicest thing I found about Vapiano is getting to watch my own dedicated chef cooking away at my personal pasta dish – ‘designed’ just how I like it. He asked me how much chilli and herbs I wanted adding in, and it only took him less than ten minutes to rustle up my Italian dish and hand it over to me. My friends option for dishes such as a chunky ravioli dish and a beef salad, which earned top reviews from the girls too! 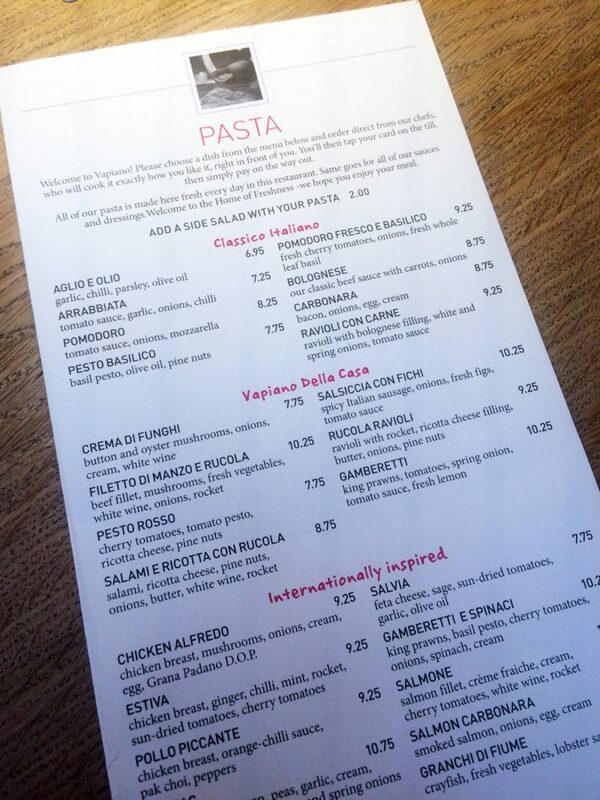 The staff were super attentive and friendly, the prices were affordable and realistic (just under £9 for a never ending dish of delicious pasta cooked whilst I wait) and the interior was spot on. 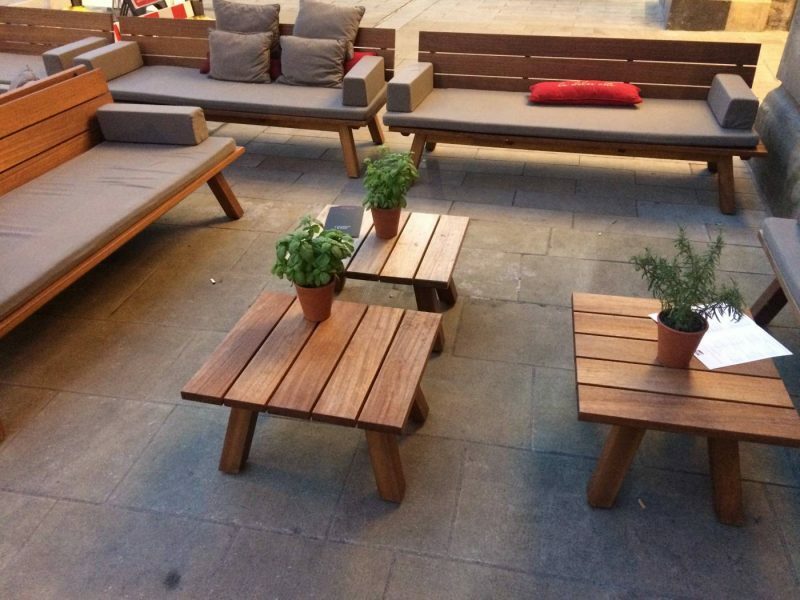 Clean, Scandi style rooms with a mixture of high tables, stools and lower seats, with that clean and crisp Italian vibe. 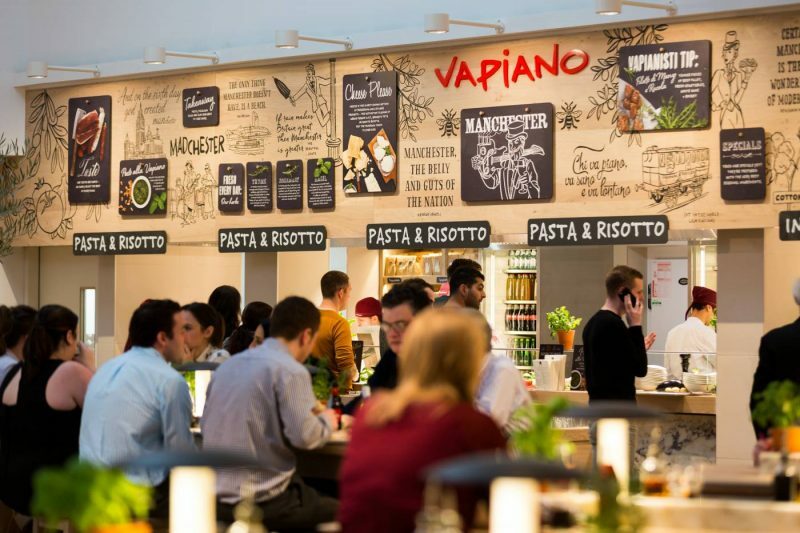 My trip to Vapiano made me realise just how much I could do with my own Italian cooking, including jazzing up the types of pasta I use to cook my dishes. It’s all about experimenting and adding in different additions of vegetables, herbs and spices, which inspired me a lot just from watching the chefs. I’ve recently been doing a lot of research the past week or two into home cooked Italian meals from the back of my visit, and have even got myself a little Italian cookbook! I’ve also been taking note of tips from other experts, such as Jamies Italian who have shared this infographic about their key ingredient: Olive Oil! 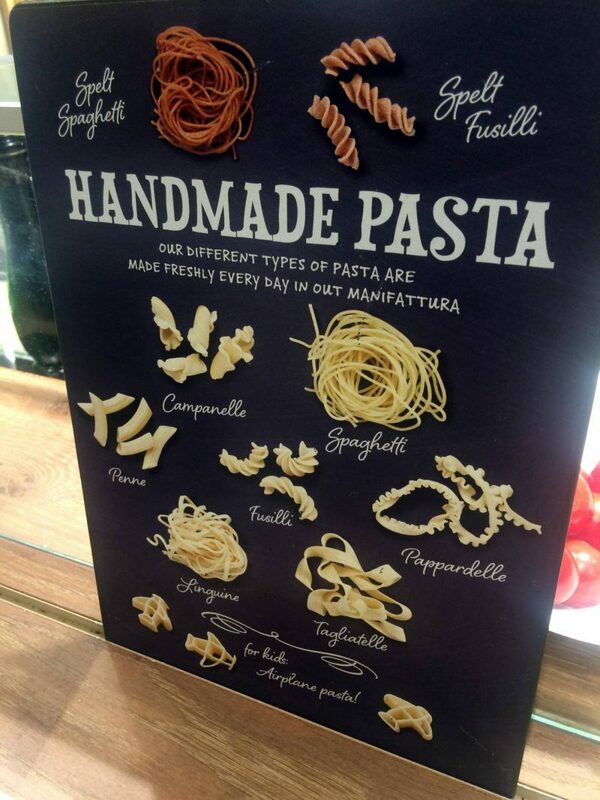 So before I say Ciao I’ll leave you with this informative graphic which tells you everything you need to know about this wonderful ingredient. Not only is it great for frying, it can also be used to make a mean salad dressing and glaze for food!